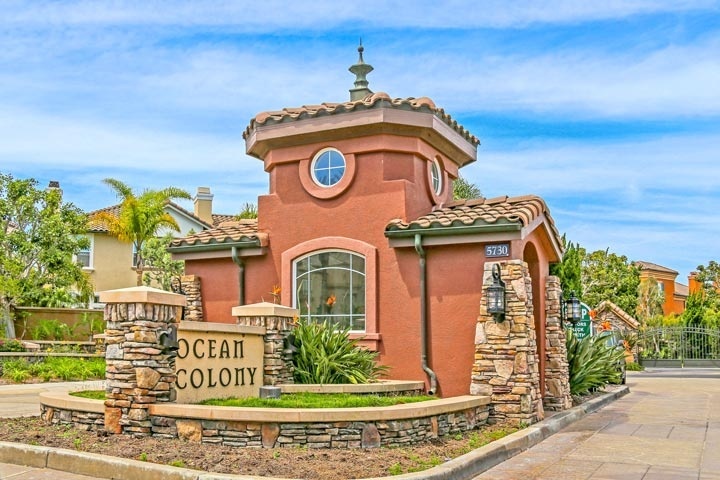 Ocean Colony homes are located in the West Huntington Beach area of Huntington Beach, California. This is a small enclave of 53 luxury homes that is protected by a 24 hour guard gate with large single family homes that were built between 1999 to 2001. Homes prices have remained steady in Ocean Colony with a prime location one block to the beach. Select properties in this neighborhood will have ocean views as well. Association dues include the gated entrance. Below are the current Ocean Colony homes for sale and for lease in Huntington Beach. Please contact us at 888-990-7111 with questions regarding this community and any of the homes listed for sale here.